Anya Gage worked for a living. She had to. After a rough childhood and one hurdle after another laid in front of her, Anya had to learn that in order to have what she wanted, she needed to get it for herself. But Anya can be stupid about her friends, like the one who drags her to a party she wasn’t too eager to attend. There’s a mess and drama and Anya wants to escape. And she wants to avoid Knight Sebring, the owner of the luxury apartment where the party is being held. Without his permission. Knight is grumpy, he’s controlling and Anya tells herself she isn’t interested in anything to do with Knight. Or is she? 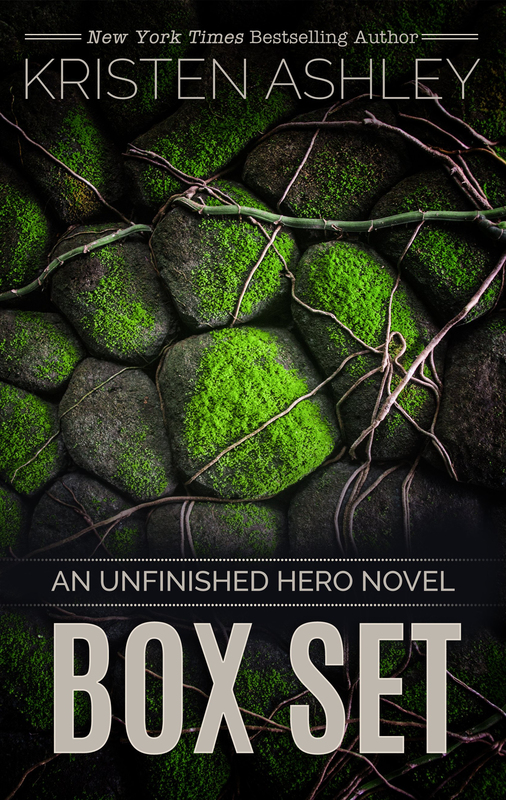 In Knight, Kristen Ashley introduces to a new kind of hero: the anti-hero. These aren’t men you’d pick our for you kid sister at first glance. 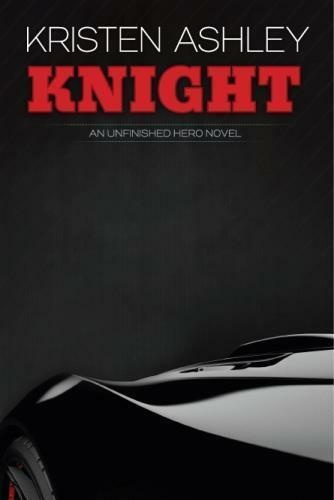 The alphas in this series are rough around the edges and Knight is definitely no exception. He’s bossy, he’s controlling and he’s a criminal. Anya is tough on her own right, a perfect match for a man who doesn’t want a white picket fence and a ring on his finger. But the love in Knight runs deep and though some reviewers complained that Knight, the man, was too possessive, too controlling, I get the feeling that was Kristen’s point. With the first book in the series, she’s drawn a couple that are dysfunctional, utterly non-traditional, but very much in love. Love is messy, so is life, why shouldn’t fiction depict both? I personally loved this title and would recommend it to readers who enjoy a love story that defies rules and conservative standards. This one had me invested, enraptured and excited for the next book in the series. Hanna Boudreaux has held a torch for Raid Miller for a long damn time. Since he was nine, in fact. Sad as it seems, Hanna is invisible to Raid. She’s the good girl. The sweet girl and Raid doesn’t seem to do sweet or good. 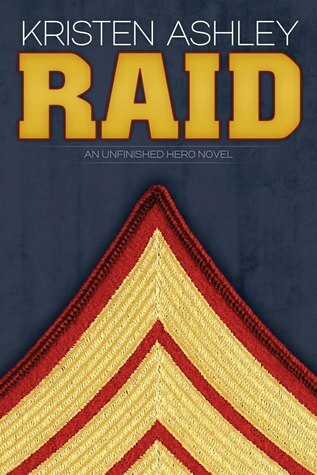 In Raid, Kristen Ashley tells the story of this unlikely couple and how they finally come together. (It takes time). After fifteen years away from their small town, Raid returns and Hanna determines to get the man she’s always wanted. This time around he finally does notice her and they begin a relationship that is sweet, simple and extremely smoldering. On the smaller side of the other books in the series, Raid delves into a simple kind of love that is complicated by the past and the wounds that take a while to heal. But there is no skimping on the heat, the connection and the swoon-worthy moments that readers expect in a Kristen Ashley novel. I found myself grinning non stop and my stomach fluttering reading Raid because it just felt good to read about this uncomplicated, sweet couple. Deacon. Deacon. Deacon. The man and the book both took root in my heart the first time I read it. He’s got his demons and his hands are filthy from the dirty things he’s had to do in his life, but there is one shining spot. Every so often, Deacon finds comfort and peace in the mountains, in unit number 11 of Glacier Lily Cottages. Cassidy, the woman who owns the place, is chatty and sweet and never asks too many questions of Deacon or expects anything from him but the cash to rent out his cottage. Until, after years of going back to Cassidy’s mountain retreat, her pull is just too great and Deacon dives into Cassidy’s world and her heart not sure if he’ll ever be able to get out of it. Or if he even wants to. 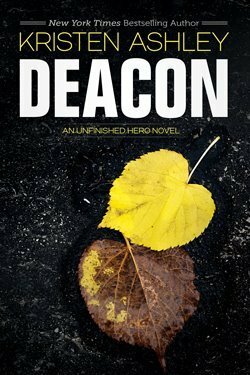 Deacon is probably my favorite Unfinished Hero book and definitely one of my favorite Ashley novels. With characters that are complex and passionate and love that is erotically delicious, Deacon is a treat of a read and a decadent pleasure for any reader. Nick Sebring, the spoiled little brother from Knight returns in Sebring to have his moment in the spotlight. But if readers are expecting to see the bratty kid who made Knight and Anya’s life hell, they’re in for a surprise. In Sebring, we see a different Nick–a man who is desperate for revenge; and he’ll do whatever it takes to get that revenge. Even if it means using Olivia Shade along the way. But during the course of the story, the couple’s initial intentions–revenge for Nick and some small glimpse at freedom for Olivia–transforms into a tantalizing love that neither expect. When the person Nick used to be comes back to wound them both, that new-found love will be tested. 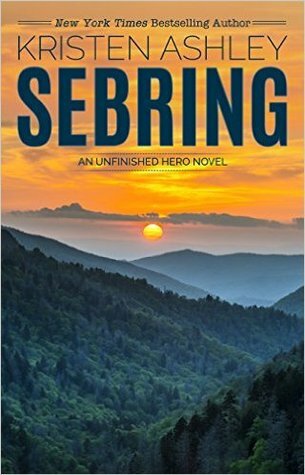 Sebring is a book that does what many readers thought was impossible: make a horrible character sympathetic. Kristen Ashley shines here and her ability to lend sympathy and even tenderness to a character with previous seemingly unforgivable cruelty. 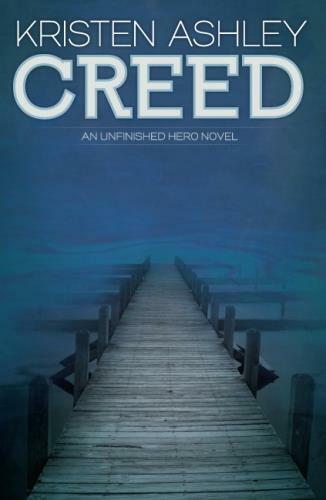 The Unfinished Hero series isn’t for everyone. If you want sweet, innocent characters without any flaws, then this might not be the series for you. But if you’re interested in complex lovers and dark heroes who aren’t really heroes at all, pick up any of the series novels. They are deep and decadent and wholly satisfying.